The Agony and the Ecstasy follows Michelangelo’s struggle to complete the daunting ceiling fresco during four years that Pope Julius II (Rex Harrison), know as the “warrior pope,” fought to keep the Vatican from opposing forces. Despite the insistence that he is a sculptor rather than a painter, Michelangelo (Charlton Heston) agrees to take on the task of decorating the important chapel. This task proves more difficult than either could imagine, and the film focuses most on the difficult relationship between the Renaissance artists and the Pope. The scope of this film is actually quite impressive, containing many location shoots in the actual places in Italy where the action took place. The one main exception is the sequences in the Sistine Chapel, which was recreated for the sake of this film. The photography in this film is full of grandeur and life, fitting in the telling of an artist’s struggle through the act of creation. Struggle and pain lead the path to beauty and lasting greatness where the art surpasses the man. 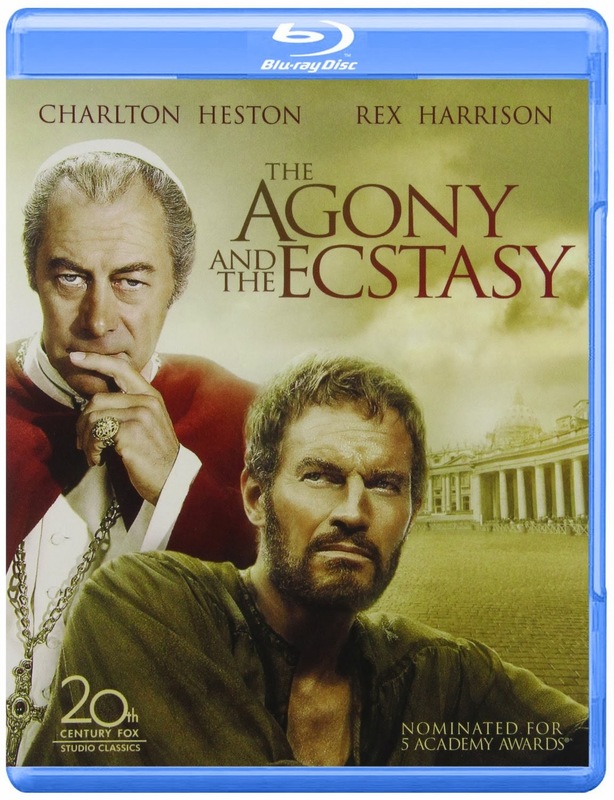 The high definition presentation of the Blu-ray is perfectly suited for films such as this, for The Agony and the Ecstasy is a gem worth polishing.